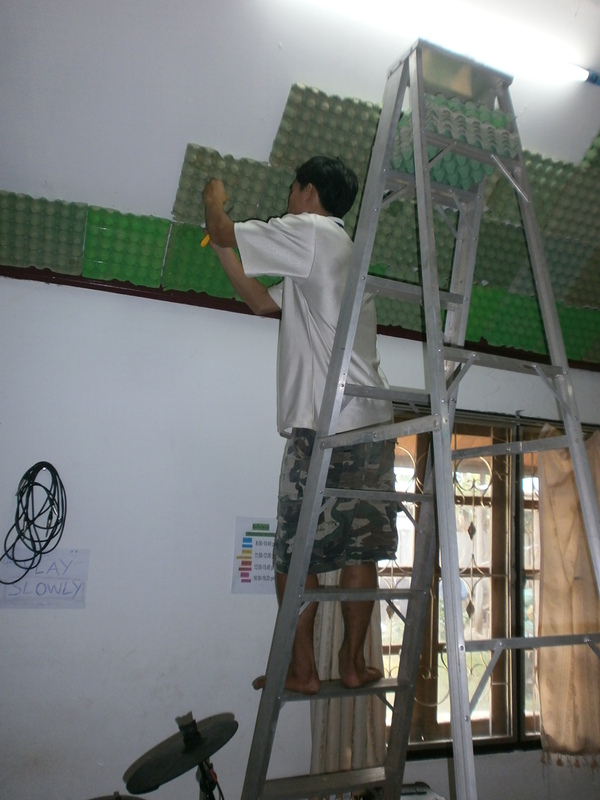 Some people have given ideas for MES band room while we’re improving it. 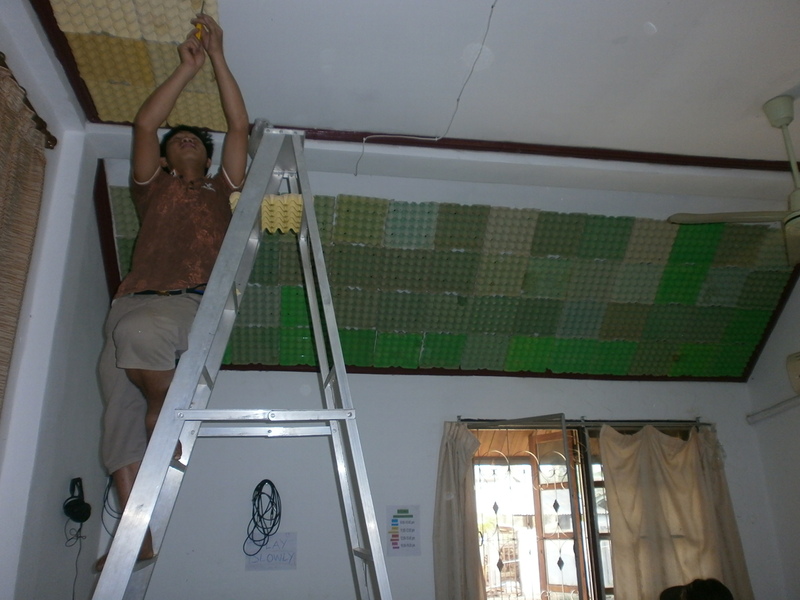 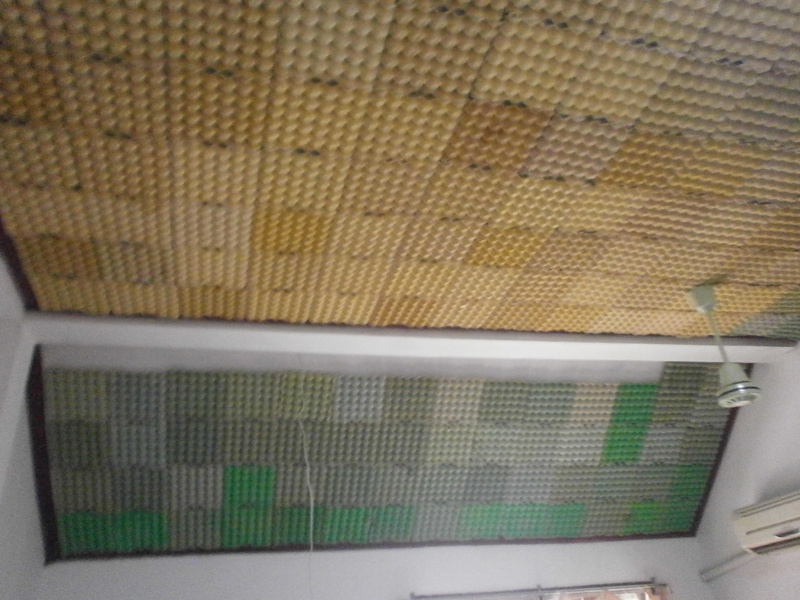 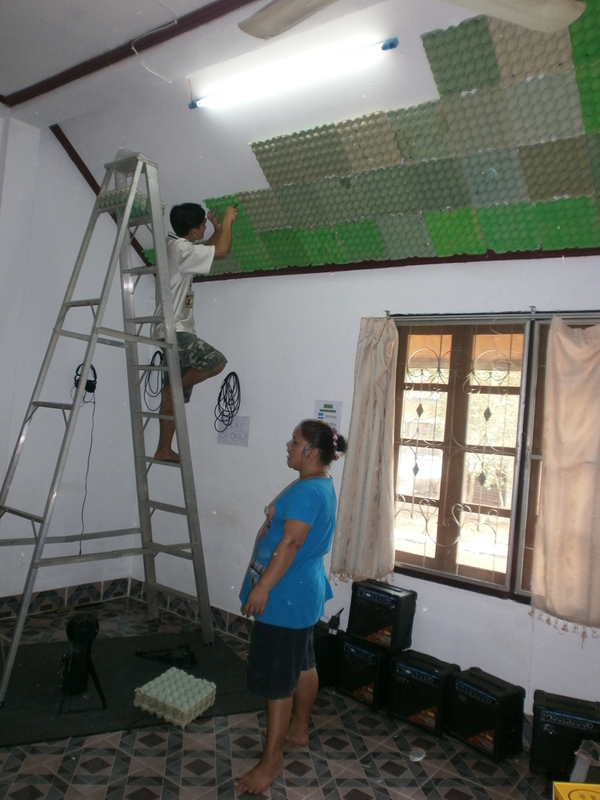 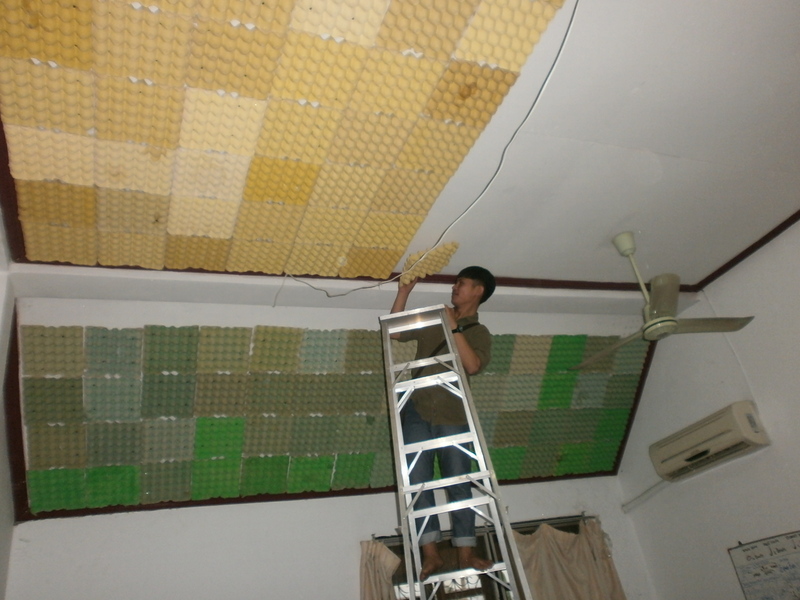 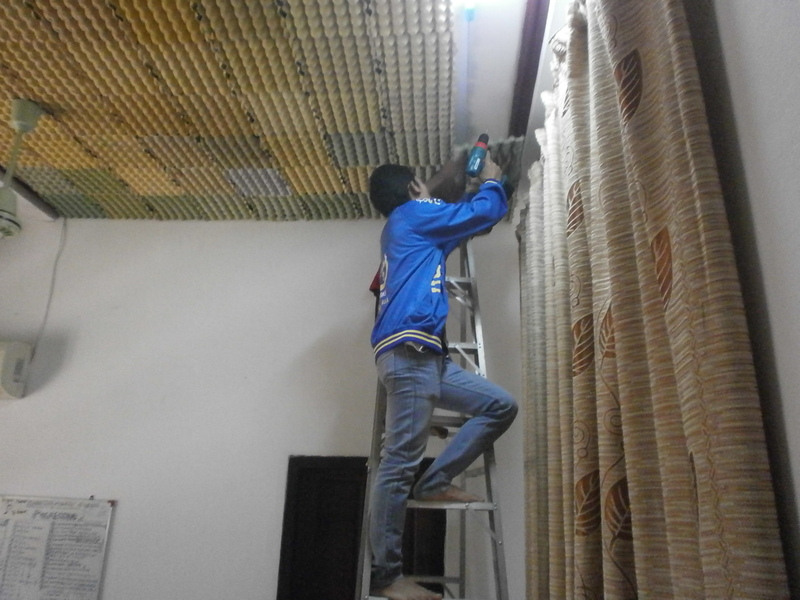 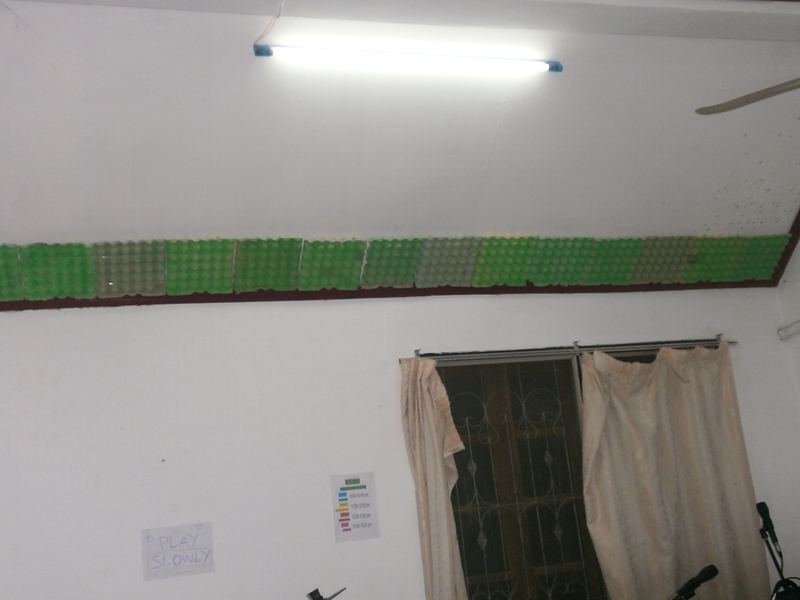 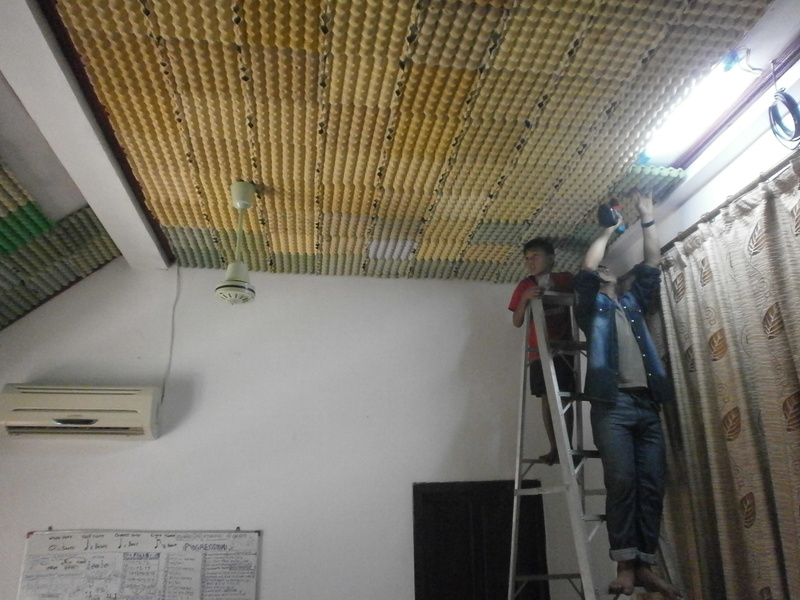 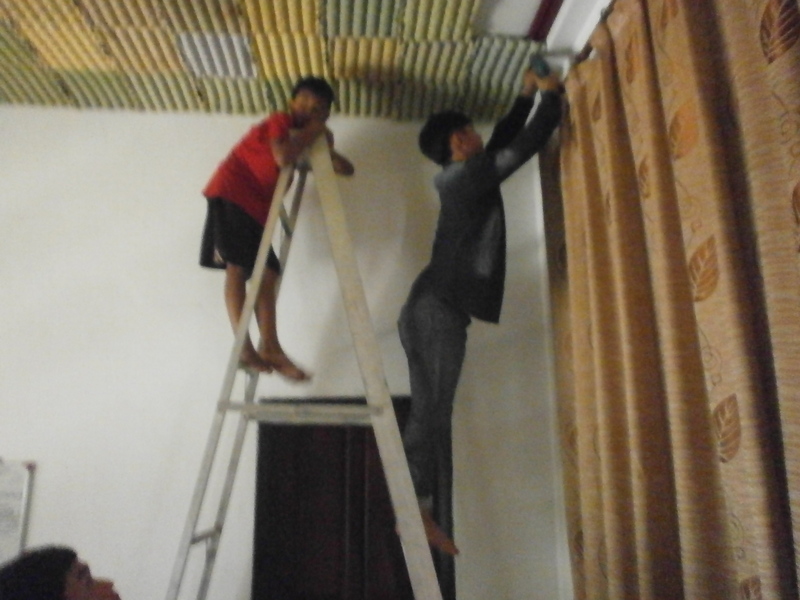 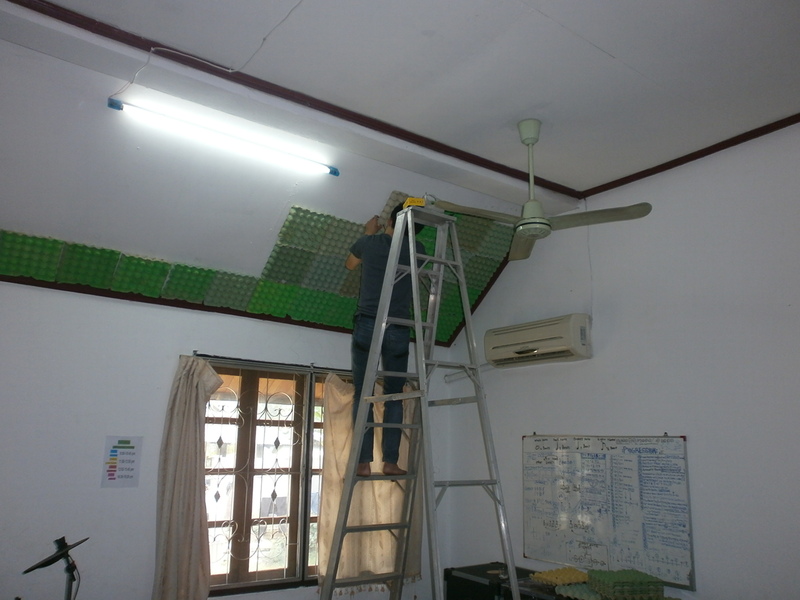 Lately MES Staffs had solidarity to continue fixing it by putting egg trays on the ceiling and we also put more rice husks in the ceiling. 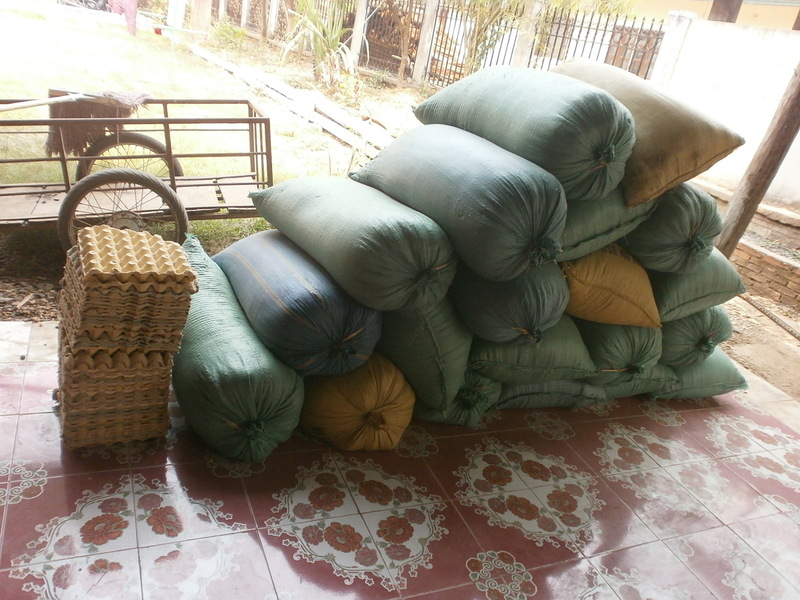 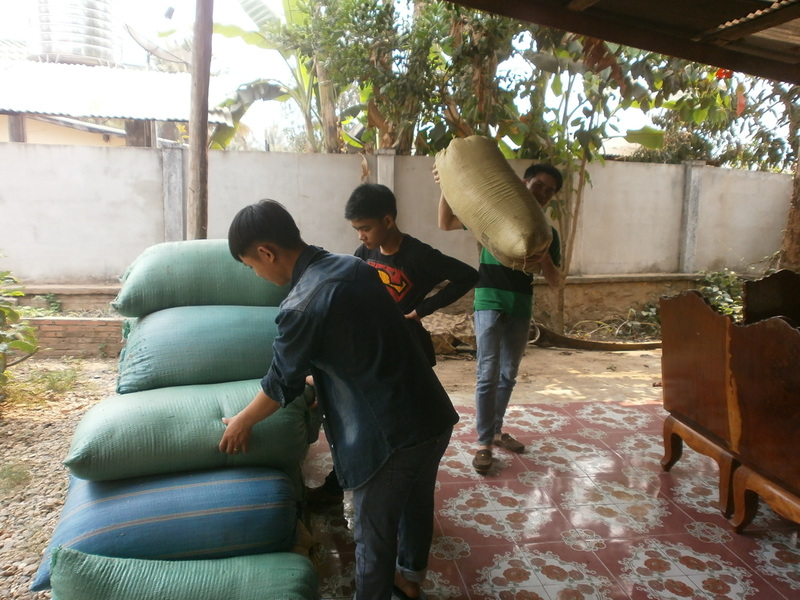 Again, we were lucky to have some help from our students who offered with willingness. 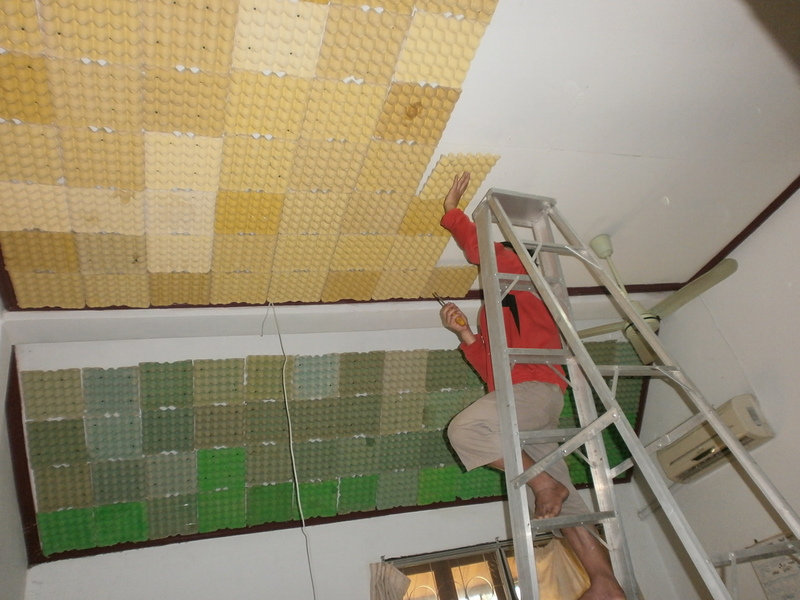 We have done putting the egg trays and rice husks, but the band room is still need more improvements that means we’ll also put something on the floor, the wall, doors and windows as well in the next few weeks. 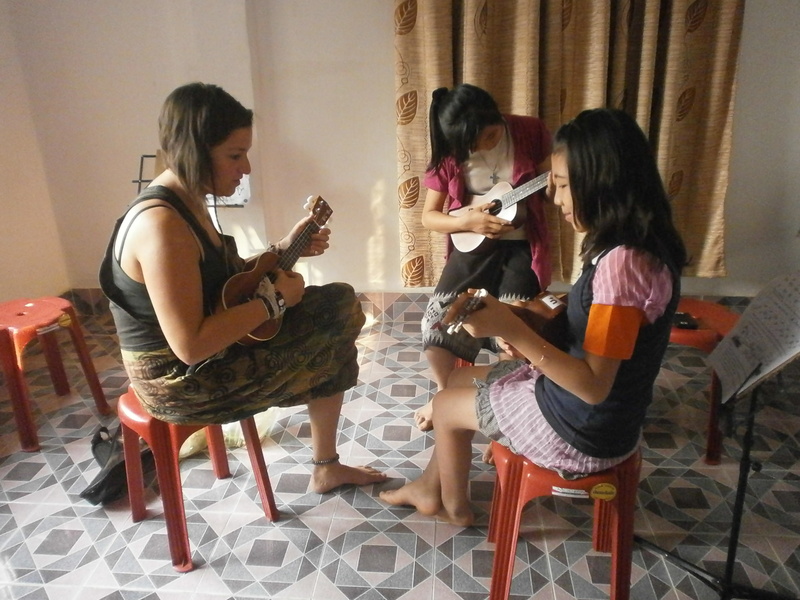 Last Friday, we had a ukulele volunteer teacher whose name is Jell and she is from America. 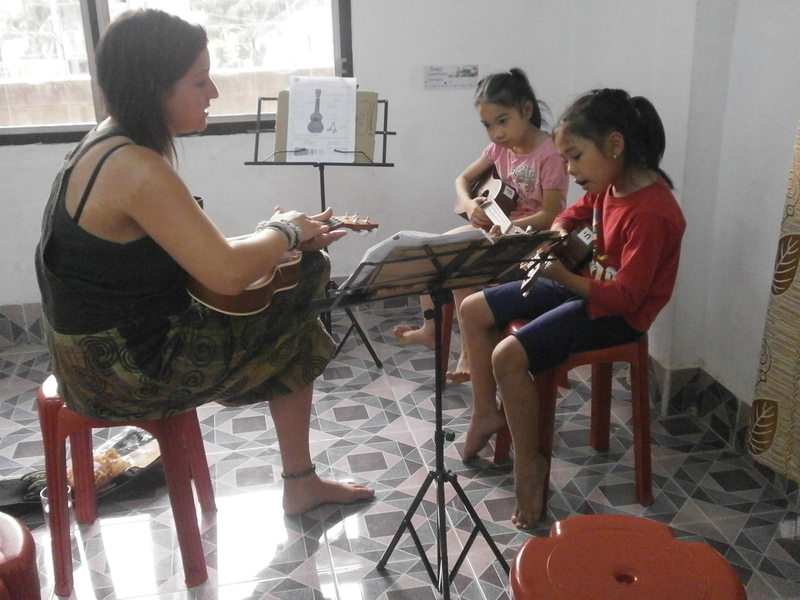 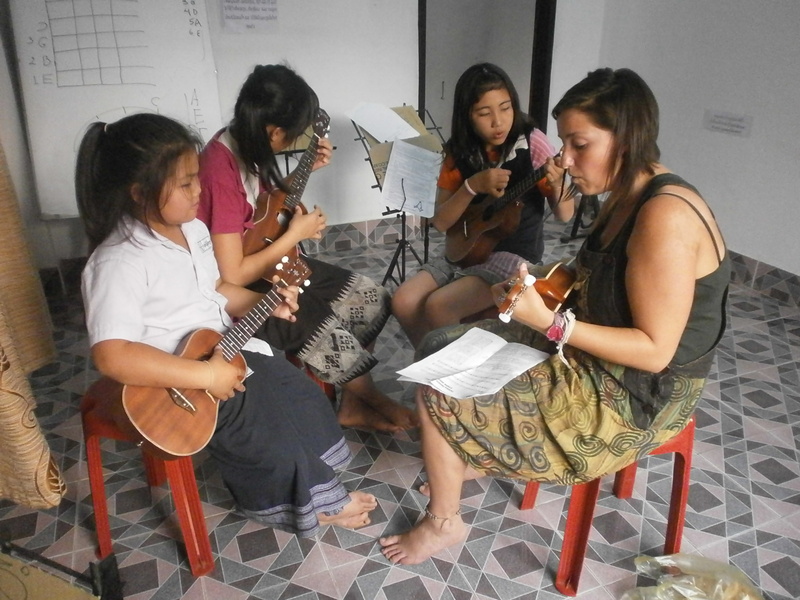 She was traveling in LuangPrabang for a couple of days with her boyfriend and she came to the Music for Everyone School to teach ukulele lesson to MES students. 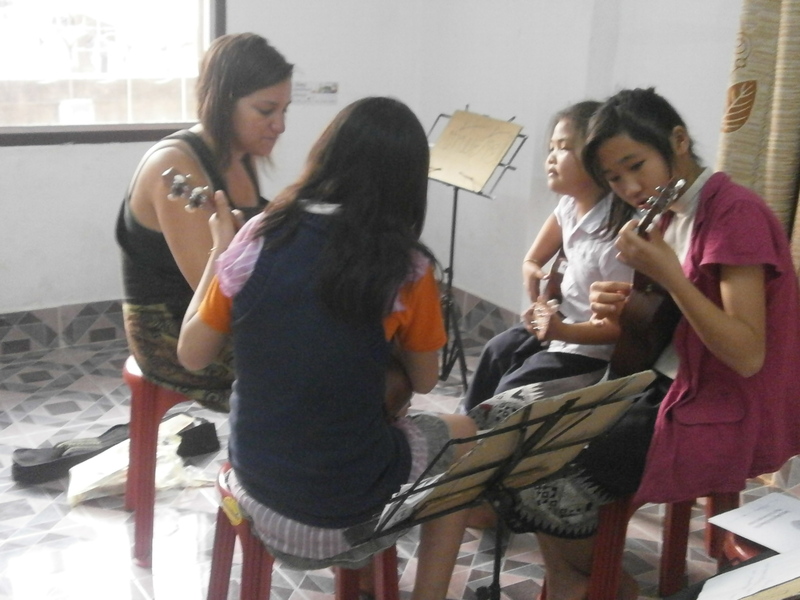 They were very proud of learning with foreign teacher like her. 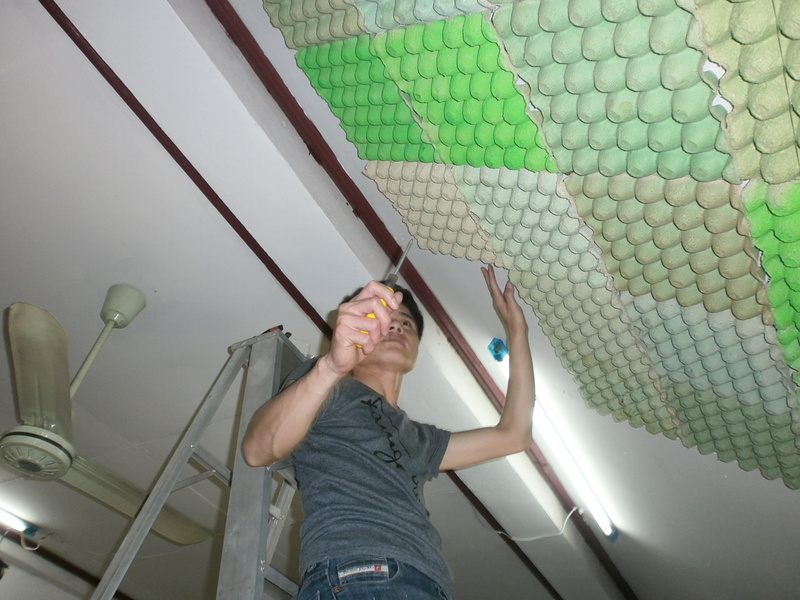 What a great project, keep up the good work! 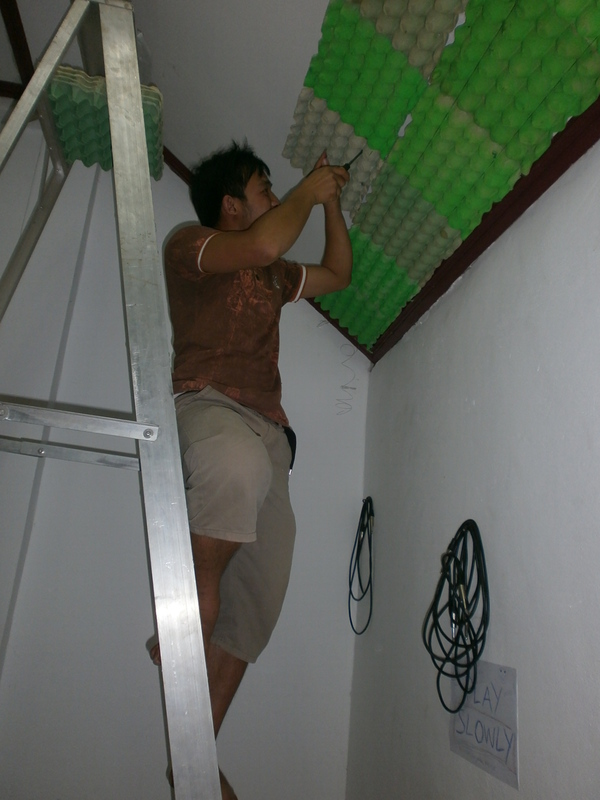 And HELLO BOUNMEE!